As the domestic machinations in Westminster over the outcome of Brexit continue, several questions remain unanswered. Many of them of course relate to the Withdrawal Agreement’s future. This Agreement covers the terms of the UK’s divorce from the EU, namely the payments needed to be made to Brussels for London’s obligations; the guarantee of the rights of the EU nationals living in the UK and of the British nationals living in the EU; and how to avoid the hard border in Ireland. But the Withdrawal Agreement also includes the protocols on the future of Gibraltar and on the UK Sovereign Bases Areas (SBAs) in Cyprus. 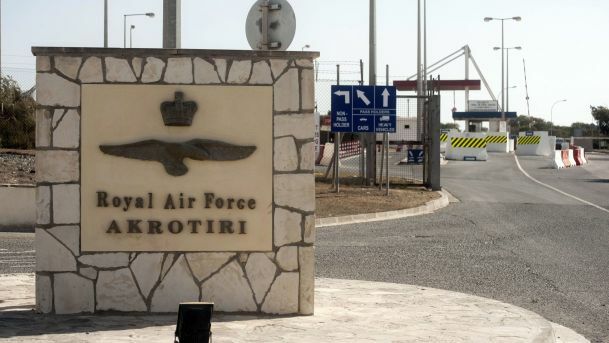 The Withdrawal Agreement makes sure that the everyday lives of 11,000 Cypriot citizens living and working in the bases’ areas will not be affected. It also basically maintains the status quo in all matters relating to customs and safety checks. The inability of the UK Government and Parliament to reach a conclusion in the Brexit process and especially the rejection of the Withdrawal Agreement by MPs three times now, begs the question of what happens to the bases protocol if the Agreement never goes through. The UK Government seems quite relaxed. Replying to this exact question a Downing Street official told this Agency: “In the negotiations for Withdrawal, we were pleased that we were able to work constructively with the EU and Cyprus to reach agreement on how the unique arrangements that apply in the SBAs would operate after the UK’s withdrawal from the EU. As for the Cypriot side, it admits that the issue would technically be pending. Trade issues, affecting Cypriot nationals in the bases’ areas, would be a matter of EU policy. Cypriot officials have told IBNA that there is no intention by either Nicosia or Brussels to “complicate” things. But some concern is inevitable in the current uncertain situation. For instance, Cypriots living and working in the territory have said they are worried about possibly having to pay customs duties for their products to be exported to the EU.